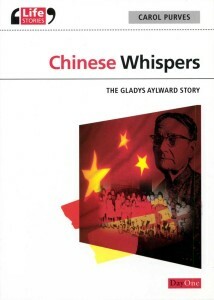 The story of Gladys Aylward, a missionary to China in the 1930’s and the 1940’s. Immortalised through the film The Inn of the Sixth Happiness starring Ingrid Bergman. Gladys set out to China alone, trusting in God to supply all her needs, was wounded by the Japanese and took nearly 100 children through the mountains to safety. More than once Gladys nearly lost her life. She had an encounter with wolves in the wastes of Siberia. She only heard them and did not see them, otherwise the outcome might have been different. The Russian authorities attempted to kidnap her because of a misunderstanding on her passport. She also received a gun-shot wound to her shoulder. Although this book is now out of print and has been superseded by Gladys Aylward, A Life for China it might still be possible to obtain it from Christian Bookshops. Interesting facts – Did you know Gladys travelled all the way from the east side of London to deepest China wearing two left shoes? Did you know this intrepid missionary once faced a crazed axeman as well as receiving a bullet wound in her shoulder. Read all about it in this book.